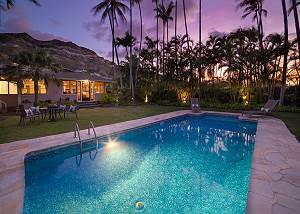 Spacious 5 bedroom Lanikai home with 3 separate living spaces - ideal for multi-family and multi-generational travel. Contemporary updates, vaulted ceilings, hardwood floors, entertainment deck, swimming pool and hot tub! 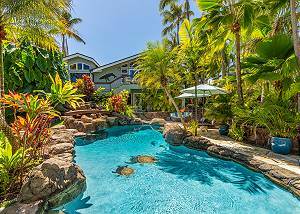 Ocean front home with inspiring views and coastal access in a private, quiet cul-de-sac at the tip of Kailua Bay, two miles from Kailua Beach. Split-level, and well-equipped with 3 en suite bedrooms and a 4th bonus room. Gated and private. 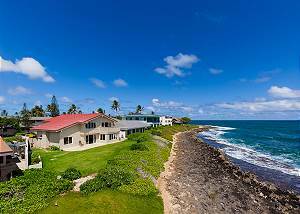 Beautifully restored home on one of Hawaii's greatest white sand beaches, Waimanalo. Large single level floor plan sleeps up to 8 comfortably and includes large yard and lanai. Mokulua Aina - Lanikai is a 3 bedroom, 3 bath plantation-style home with pool and contemporary upgrades including whole house air conditioning. 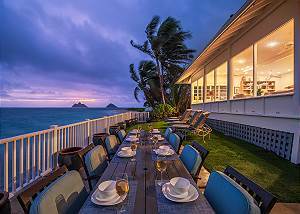 Come enjoy this tropical setting just across from Lanikai Beach - ideal for up to 6 guests. 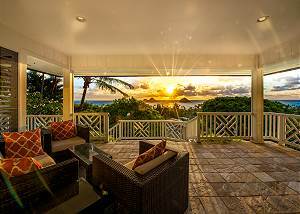 4 bedroom, 4 bath home w/separate guest cottage located on the hillside at the quiet, peaceful end of the exclusive Lanikai neighborhood. Spectacular ocean views and morning sunrises from the open air layout with remodeled designer touches throughout. 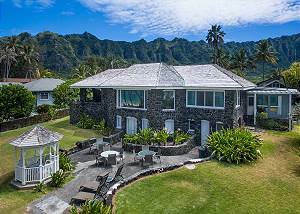 The historic John Walker House is located by the pristine white sand beach of Lanikai on the Island of Oahu. 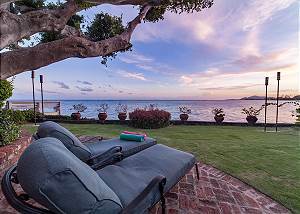 With accommodations for up to 14 guests, this recently renovated property provides the most breathtaking views, relaxed comfort and island charm. 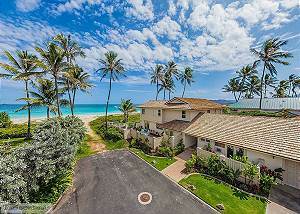 Spectacular beach front setting for this TVU licensed 5 bedroom, 5.5 bath home on Kailua Beach. Spacious home provides over 4400 sq ft of space with added privilege of amenity access to the Hale Kai Surf and Racquet Club. 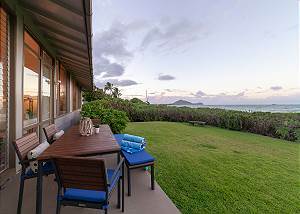 Casual, 3 bedroom beach house, ocean front on the white sands of Kailua Beach has undergone a fresh renovation of kitchen, baths and furnishings and is an ideal vacation rental for up to 8 guests. 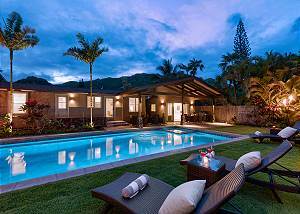 Spacious 6 bedroom home with tropical pool on quiet lane in exclusive Kailua neighborhood. 3 separate living spaces - ideal for multi-generational travel. Enjoy the calm, blue waters of Kailua Beach - just steps away.